But he was stopped at Bangkok’s main airport at Bahrain’s request on November 27 as he arrived in Thailand for his honeymoon. 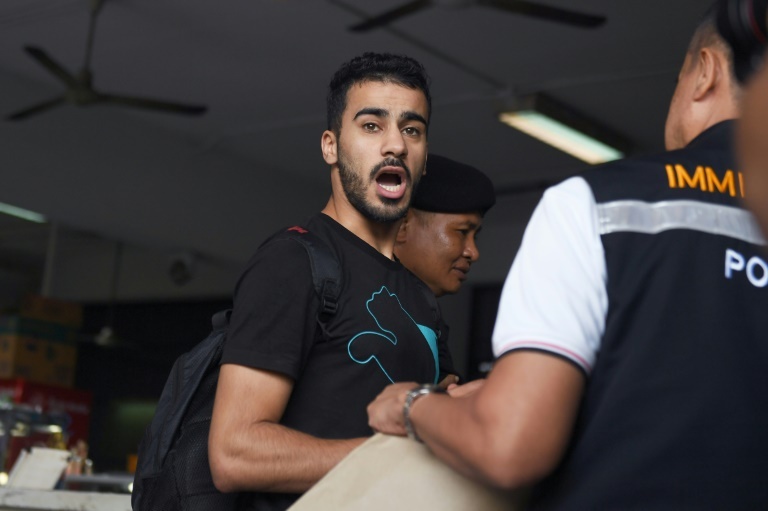 He has been detained since in a Bangkok prison pending a court ruling on the extradition request from Bahrain — a move the footballer had pleaded against saying he fears torture if returned. “We have been informed that Bahrain wants to withdraw the (extradition) request… if they don’t want him, we have no reason to keep him here,” he told AFP. The Australian government had repeatedly called for Araibi’s return and the case has become a cause celebre in the football world, with FIFA also urging the Thai football authorities to intervene. Football Federation Australia (FFA) last week cancelled the under-23 men’s national team plans to hold a training camp in Thailand. Australian Prime Minister Scott Morrison, who had also repeatedly pushed for Araibi’s release with his Thai counterpart Prayut Chan-O-Cha, said Monday that the footballer “is on his way to the airport” and thanked the Thai government for “listening to the issues” raised by Australia. “Now the next step is for him to return home. But as it always is in these cases, people aren’t home until they’re home,” Morrisson told reporters in a press conference in Canberra. Former Australian football captain Craig Foster, who has been leading a protest in the football community for Araibi’s freedom, expressed his “deepest gratitude” for the news. Calling his detention a “grave mistake”, Kasit Piromya, a board member of the lobby group ASEAN Parliamentarians for Human Rights, said the footballer’s case showed the failings of Thailand’s “outdated” laws and policies. “Hakeem should never have been put through this ordeal in the first place,” Piromya said. In January, an 18-year-old Saudi woman who ran away from her family arrived in Bangkok’s airport, and armed with a smart-phone and a captive Twitter audience, managed to outmanoeuvre Thai authorities and gain refuge in Canada following her pleas for asylum from her “abusive” family. A statement from Bahrain’s foreign ministry on Monday “takes note of the halt in legal proceedings” though it does not confirm it had withdrawn its extradition request. The reversal comes a day after Thailand’s foreign minister met with Bahrain’s Crown Prince Salman bin Hamad Al Khalifa in Manama to “discuss… areas of interest”, according to Bahrain’s state-run news agency.